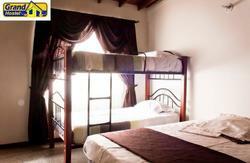 Calle 10 Hostel sits right on Tenth Street, halfway between the El Poblado Metro Station and Parque Poblado. We are perfectly located no matter what your interests are whether youre looking for museums, hiking, daytrips, or shopping, the metro is only a 5-minute walk away. Parque Lleras is 10 minutes walk away and features excellent international restaurants and an active nightlife, while our own neighbourhood is the beautiful El Poblado. Our El Poblado house is over a hundred years old and has been remodelled to retain its classic, bright and airy elements. We offer both private and dorm rooms. Our common areas are laid back and although there is 24 hour reception were not a party hostel. Our staff are happy to help you out with whatever you need they know the city and the local neighbourhood very well! Come stay at Calle 10 Hostel! 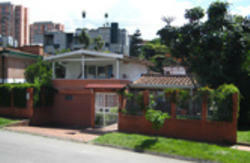 Medellin is a great city - come stay at a hostel where you will best be able to enjoy it. We are about 3 blocks from the El Poblado Metro Station. From the El Poblado Metro Station, walk up 10th Street. We are 1.5 blocks above the Exito super market, on the right-hand side. Alternatively, we are about 3 blocks below Parque Poblado. The house has green windows with red bars.